Without Rod Carew, Tony Fernandez probably wouldn’t have recorded more hits than any other player in Toronto Blue Jays history. Fernandez, who rapped out 1,583 hits with the Blue Jays, idolized the Panama-born Hall of Famer and modeled his batting stance after him. And if you were lucky enough to watch both of them hit, you could see the similarities. They both gripped the bat softly and seemed to be able to direct the ball to any field at will. So it’s not surprising to learn that Fernandez, who was elected to the Canadian Baseball Hall of Fame in 2008, would stop by Carew’s baseball school near Los Angeles, when the Blue Jays were in town, for some private lessons. Like Carew, who batted .388 in 1977, Fernandez also flirted with .400 during a big league season. The Blue Jays great was hitting .400 as late as June 28 of the 1999 campaign. Fernandez finished 1999 with a .328 batting average, which is the same as Carew’s career batting average. 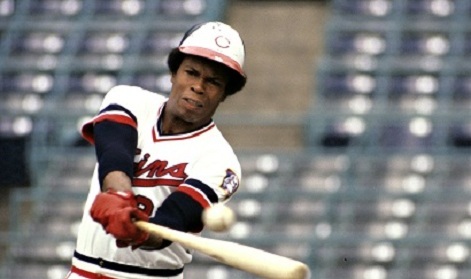 Toronto Blue Jays legend Tony Fernandez modeled his swing after Rod Carew. Born October 1, 1945 in Gatun, Canal Zone, Panama, Carew was signed as an amateur free agent by the Minnesota Twins after he had moved to New York City during his high school years. 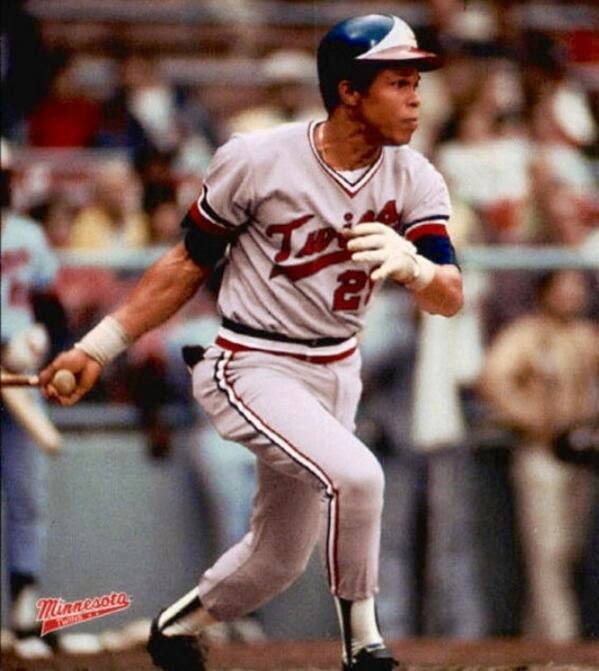 In 19 big league seasons with the Twins (1967 to 1978) and California Angels (1979 to 1985), Carew amassed 3,053 hits (24th all-time) and was selected to 18 all-star games. Along the way, he also won seven American League batting titles, hit .300 or better in 15 consecutive seasons (1969 to 1983) and collected 2,404 singles (eighth all-time). He was also named AL Rookie of the Year in 1967 and AL MVP in 1977. “He could move the bat around as if it were a magic wand,” pitcher Ken Holtzman once said of Carew. Carew’s resume earned him election to the National Baseball Hall of Fame in 1991, his first year of eligibility. He later opened a baseball school near his home in Peralta Hills, Calif., and became a respected batting coach for the Angels and Milwaukee Brewers. These days, he serves as a special assistant to the president of the Minnesota Twins. – Montreal-born Calvin Griffith was the Twins general manager while Carew was with the club. Though he built some strong teams in Minnesota, Griffith was often accused of being stingy and Carew and Griffith sometimes clashed during contract negotiations. Their relationship was dealt a fatal blow when Griffith had a few drinks at a Lions Club speaking engagement in Waseca, Minn., in the summer of 1978 and he started talking about why he moved the team from Washington to Minnesota. “I’ll tell you why we came to Minnesota. It was when I found out you only had 15,000 blacks here,” Griffith was reported as saying. “Black people don’t go to ball games, but they’ll fill up a rassling ring and put up such a chant, it’ll scare you to death. It’s unbelievable. We came here because you’ve got good hardworking white people.” Later, in the same speech, he called Carew a “damn fool” for signing a three-year, $170,000 contract with his club. “He’s worth a lot more than that, but that’s what his agent asked for, so that’s what he gets.” After learning of Griffith’s remarks, Carew refused to comment at first, but he later expressed his anger to Minnesota Tribune sports editor Gary Libman. “I will not ever sign another contract with this organization. I don’t care how much money or how many options Calvin Griffith offers me. I definitely will not be back next year.” Carew’s anger was understandable. So after leading the league with a .333 batting average with the Twins in 1978, Carew was dealt to the California Angels on February 3, 1979 for Dave Engle, Paul Hartzell, Brad Havens and Ken Landreaux. – By my count, Carew had two Canadian teammates during his big league career. Dave McKay (Vancouver, B.C.) competed alongside Carew with the Twins in 1975 and 1976 and Kirk McCaskill (Kapuskasing, Ont.) played with the seven-time batting champ with the Angels in 1985. Both McKay (2001) and McCaskill (2003) have been inducted into the Canadian Baseball Hall of Fame. – Carew recorded 106 hits – including 18 doubles, four triples and two home runs – and batted .323 in 85 games against the Toronto Blue Jays. 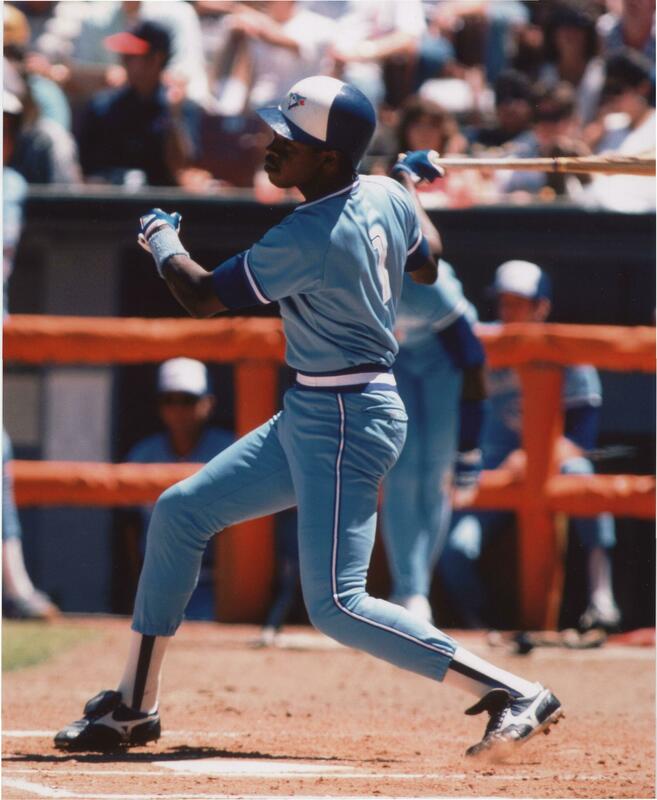 He wasn’t quite as successful at Exhibition Stadium where he hit .294 and registered 47 hits in 41 contests. – Carew had three career, four-hit games versus the Blue Jays. The first came on May 8, 1977 at Exhibition Stadium. He recorded two triples in a game in that contest for the first time in his career and added a double and a single. Later with the Angels, he posted four hits (all singles) against the Blue Jays at Anaheim Stadium on May 26, 1981. He duplicated that feat the following June 17 at Exhibition Stadium when he recorded a double and three singles. – Carew fared very well against Canadian pitchers. He was 13-for-34 (.380 batting average) against Swift Current, Sask., native Reggie Cleveland, nine-for-25 (.360) against John Hiller (Toronto, Ont.) and 21-for-58 (.362) versus Hall of Famer Fergie Jenkins (Chatham, Ont.). 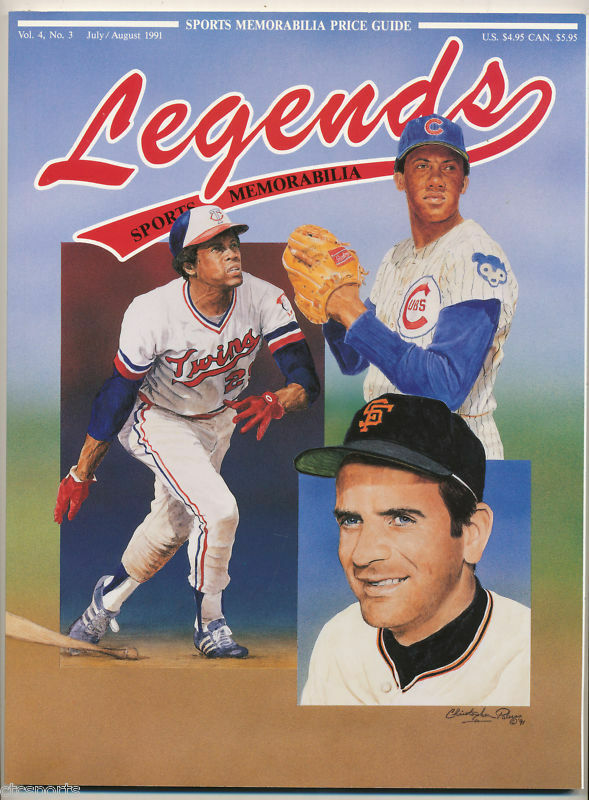 – Speaking of Jenkins, Carew was inducted into the National Baseball Hall of Fame in Cooperstown along with the Canadian pitching legend and Gaylord Perry on July 21, 1991. On that day, Carew became the first player born in Panama to be elected, while Jenkins was honoured as the first Canadian. Thanks for the kind words, Bill. Hope you are well.